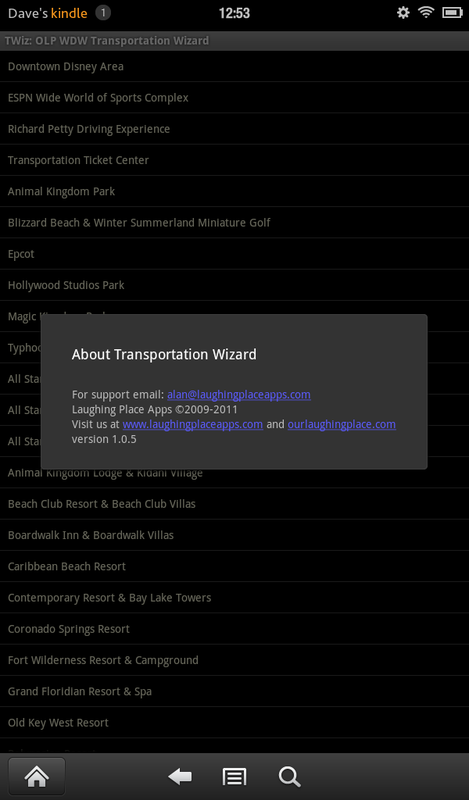 At its heart, this is a very simple transportation application for use when touring around Walt Disney World. 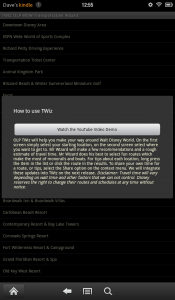 The app intends to provide guidance on how to travel from point A to point B on Disney World property, using various transportation methods. 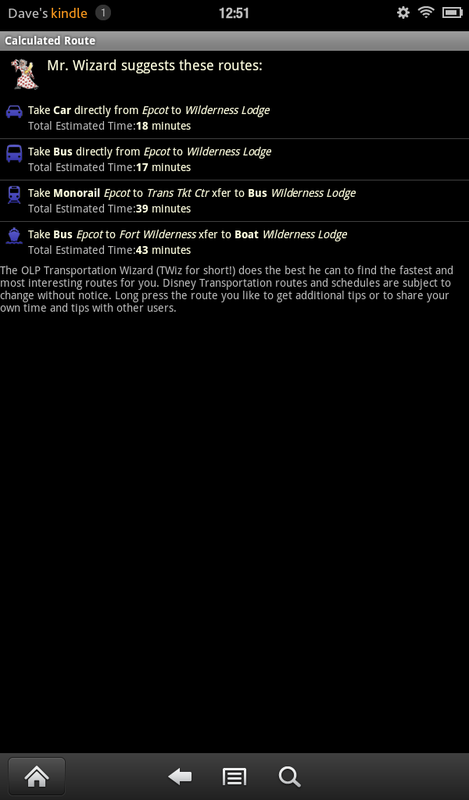 You start-off with a listing of places you might be starting from for your adventure. After selecting your current location, you are then asked for your destination. You are now presented with a list of transportation methods, with estimated travel times via each. You can use the menu button to find additional options to get support or go back a step. I’m unable to verify the time estimates of this app, but I do know that bus and monorail timing can be very unpredictable. I would guess these are more of a best case scenario and this should be taken into consideration if you are using this app. The app has no frills or graphics to wow the user. The app is focused on data and functionality. It seems as if there could be more effort taken to make this more visually appealing. The time estimates did not match with my personal experiences, so your mileage may vary. Considering the cost of the app, I expect a lot more from it.